You Are Here: Home → Home Page Management → Editor's Pick → HRreview’s focus week on workplace wellbeing and stress begins! 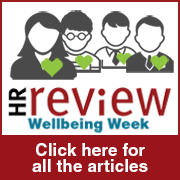 HRreview’s focus week on workplace wellbeing and stress begins! HRreview has embarked on another of it’s popular focus week’s on the key HR issues affecting practitioners across the UK. This week we turn our attention to the state of workplace wellbeing and stress. Our latest special edition focuses on the innovations, trends and challenges facing human resources and occupational health practitioners in implementing wellbeing initiatives and programmes in organisations in 2015. Whilst there is now a common understanding within HR of the value that wellness programmes can add in relation to employee engagement, employer brand and productivity, the challenge of demonstrating return on investment and obtaining that buy-in at board or senior decison maker level remains. Furthermore, organisations across the UK and globally continue to find new ways of supporting their employees mental and physical health. We have commissioned articles from some of the country’s leading and most innovative practitioners on organisational wellbeing and will be bring you wellbeing news, analysis, polls, opinion and resources from our HR Shop and our partners for this special edition, leading HR conference and training provider Symposium. You can visit our wellbeing focus week homepage here. Our partnership with Symposium for this special edition comes only seven weeks ahead of their highly rated Workplace Wellbeing and Stress Summit on 26 November in London. Readers downloading our wellbeing special edition PDF will gain access to an exclusive discount offer for the limited number of delegate places still available. The PDF contains a full preview of the conference, to be held in the heart of the capitals iconic financial district, Canary Wharf, including an introduction from the conference producer and profiles of the chair and exciting line-up of speakers from a wide range of prominent organisations. We would like to thank Symposium for their support. James Marsh is an HR consultant and currently leads the editorial team at HRreview. An avid HR blogger and tweeter on HR and management issues, James has worked as an HR manager, consultant, in-house recruiter and trainer and has expertise in both management strategy and HR policies and processes. He has a BA from the University of Nottingham in American Studies, a Masters in Human Resource Management from the University of Westminster and is a member of the Chartered Institute of Personnel and Development (CIPD). James is also the regular chairperson of HRreview's series of webinars that discuss and debate the latest HR trends and issues, InsideHR. regular contracted hours, enabling a regular wage would alleviate a huge amount of stress for employees, additionally a minimum wage or even a living wage would be added relief. Reduction to local health club/swimming for employees would encourage fitness.